2012, when its current license expires. 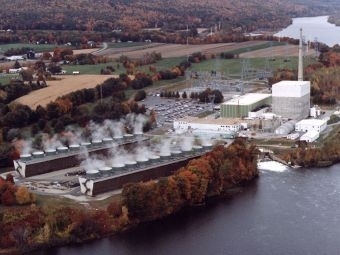 take a look at other Vermont Yankee news. Hundreds of people who rallied in protest of the Vermont Yankee nuclear power plant over the weekend, and they say it’s time for the 41-year-old reactor to shut down. Federal regulators want more information about Entergy Corp.’s finances after the company dramatically dropped the value of its Vermont Yankee plant.